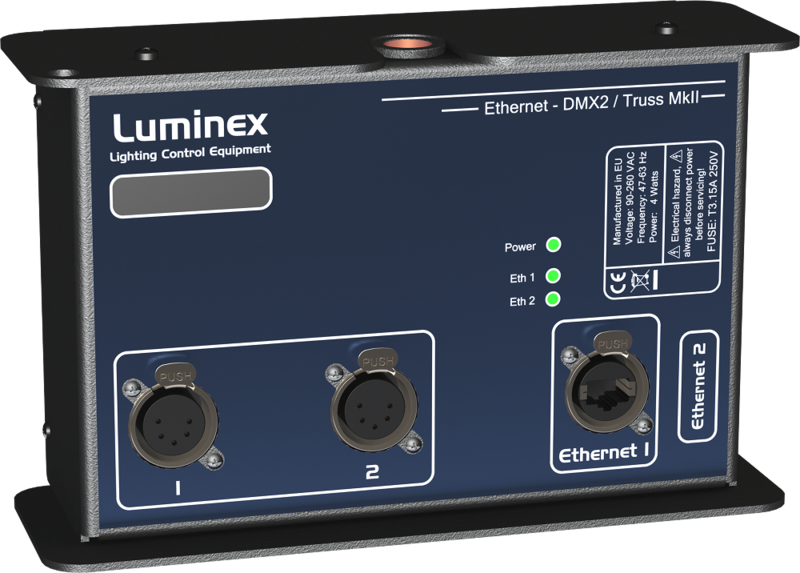 The Ethernet-DMX2/Truss MkII is an Ethernet node that serves two DMX512 outlets, conform to DMX512-A, that can be used as input or output. The Ethernet links on the front and the side are 10/100BaseTX connections on Neutrik RJ45 Ethercon connector. 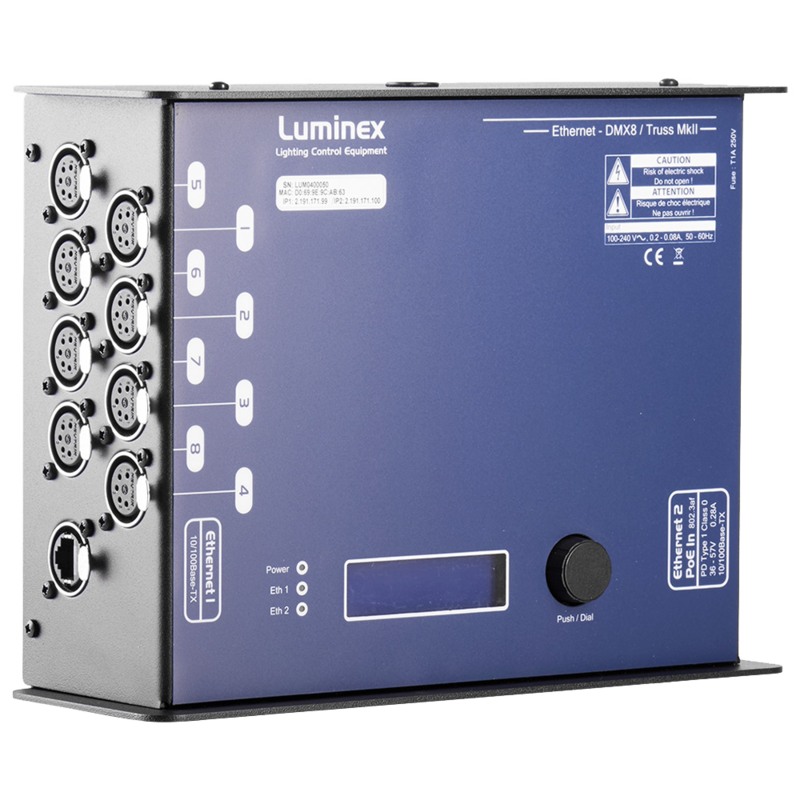 The Ethernet-DMX4/Truss MkII is an Ethernet node that serves four DMX512 outlets, conform to DMX512-A, that can be used as input or output. The Ethernet links on the front and the side are 10/100BaseTX connections on Neutrik RJ45 Ethercon connector. 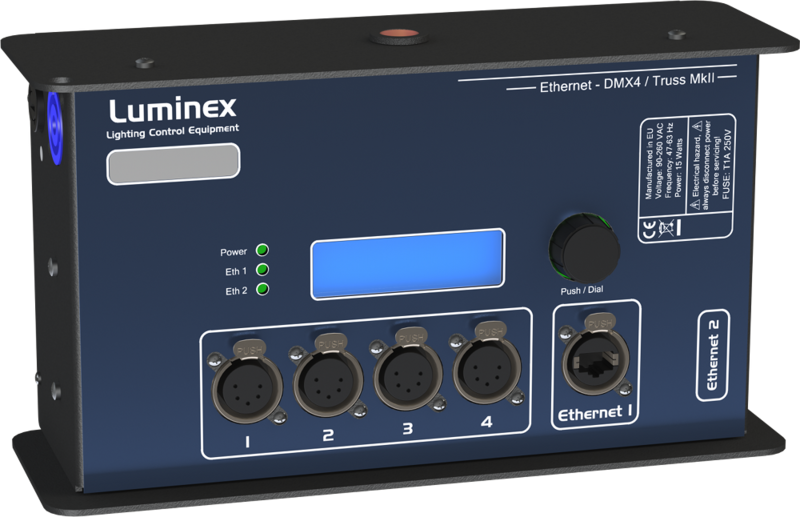 The Ethernet-DMX8/Truss MkII is an Ethernet node that serves eight DMX512 outlets, compatible with the Artnet and sACN protocols. All outlets are conform to DMX512-A and can be used as input or output. This special offer will not be accumulated with the regular quantity discount. This promotion will start today and will end at May 31, 2016. Note: “if you combine several products, you’ll receive the most affordable version for free."